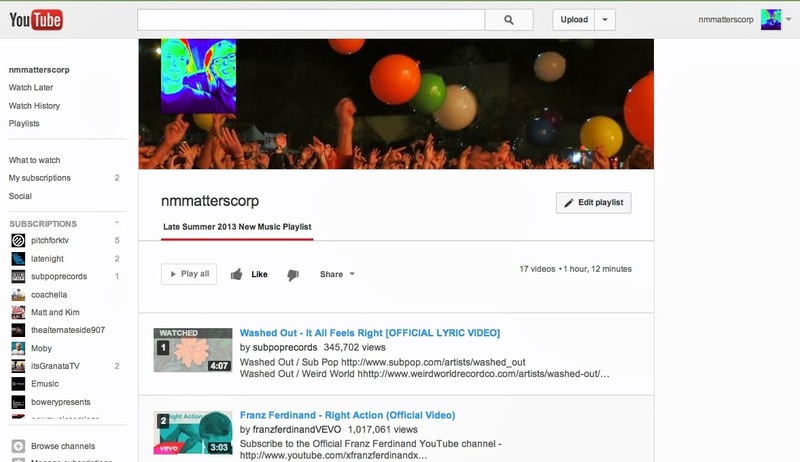 This time around I quickly found all of the songs from my Late Summer 2013 Playlist on YouTube as official videos, whether with a static image or moving visuals. It attests to the new notion of putting music on YouTube as a promotional tool, no matter if there's fancy filming along with it or not. I offer it as a companion piece to the Grooveshark audio, and yet another opportunity to explore new music. Link to the NMMatterscorp YouTube page or click the video below.